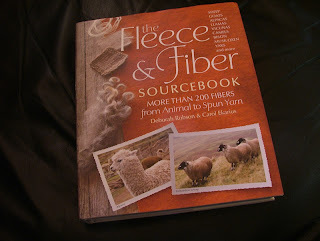 My short and sweet review - if you love working with natural fibres, enjoy spinning and related fibre crafts, BUY THIS BOOK! After reading some preamble about this book on Ravelry I became very tempted to buy it. However, I'm quite frugal when it comes to books and prefer to borrow from libraries or look for second hand first, so to spend money on a new book was a bit of a luxury. But I was so tempted, and it was the sort of book that bookshops don’t keep in stock to go and have a look through so I went ahead and ordered a copy from the Book Depository. What a delightful sight it was when it arrived – a beautiful cloth bound hardback with a small embossed sheep on the front and a beautifully illustrated sleeve cover. This book is simply awesome if you are interested in fibres and their spinning qualities, etc. I wondered if it would just be a "coffee table" type of book where you look and think “oh that's nice” and put it down again, but, while it is very artistic, it is also a comprehensive “text” book on the study of fibres from animals around the world. 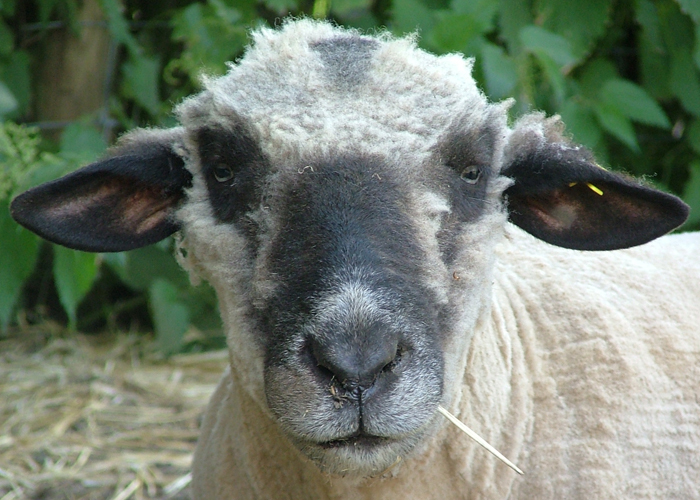 This book not only covers numerous breeds of sheep, many of which are British or originated here, and many rare breeds too; but also Alpaca, Llama, Goat, Yak, Angora Rabbit, camels plus others including Wolf. Yes, Wolf! “Natural fibres are part of our culture, our heritage. They have stories. They have a living, breathing animal (or a growing plant) behind them. 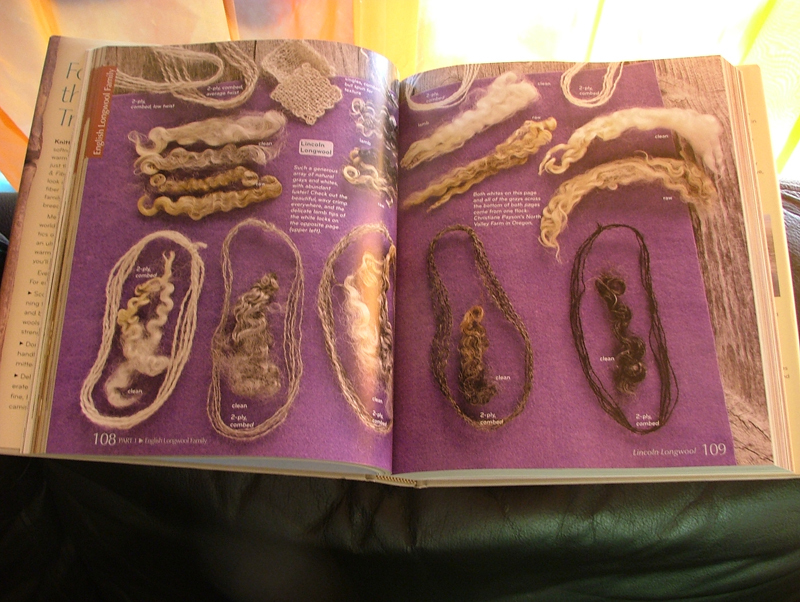 This book is the encyclopaedia of fibres, it would grace any fibre lovers bookshelf and is a must have for would be and experienced spinners alike. 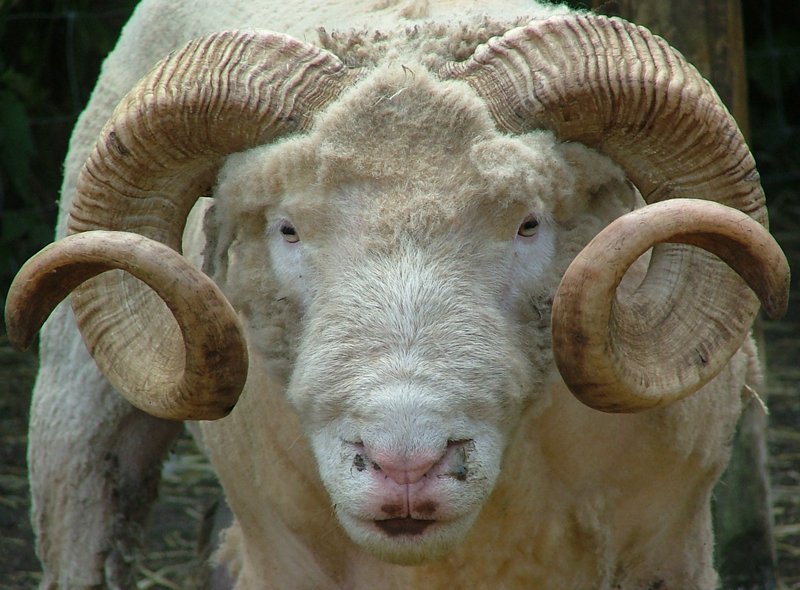 Before you meet all the animals, grouped together by families, the authors talk about the value of natural fibres against synthetic fibres for crafts and commercially, and of genetic diversity of animals. 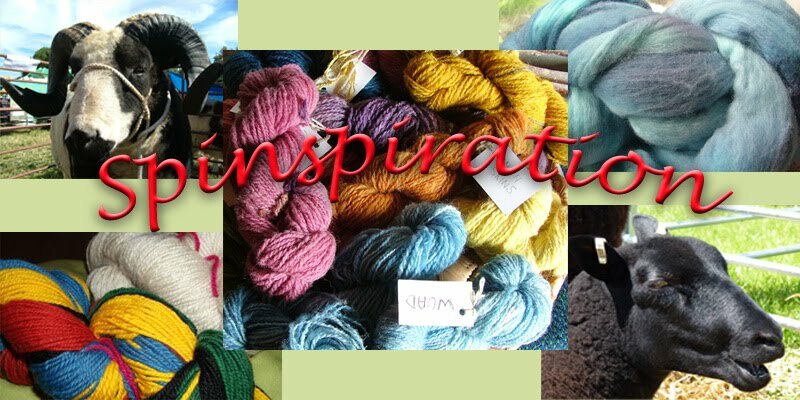 You then read about the history of fibre and yarn production through the ages, the characteristics of different fibres and their uses and what garments different wools would be ideal for. This book is extensive (maybe not exhaustive) but it could lead you to want to research more by yourself. Moving onto the sections about the animals is a delight. 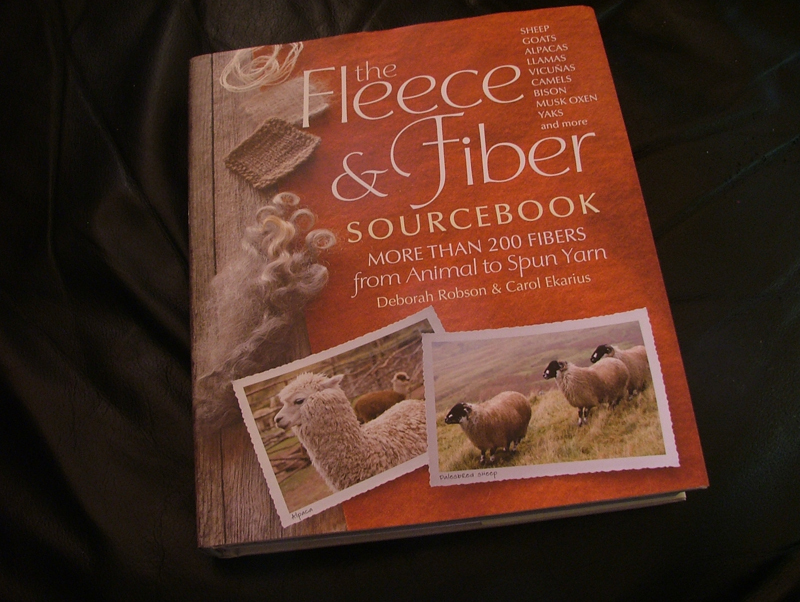 In researching this book the writers have done an amazing job, there are stories about the breeds, where they came from, beautiful photos of the animal and the fibre both raw and washed, details of the fleece weight, staple length, lock characteristics, strength and properties; tips on preparing the fibre, spun samples as singles, plied, and swatches too. 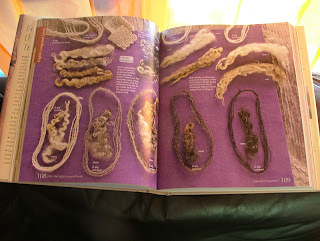 It also details how the fibre is best used and how it dyes. A wonderful resource, informative contents pages, and excellent glossary of terms for spinners and non-spinners to understand, plus a bibliography that is extensive too. 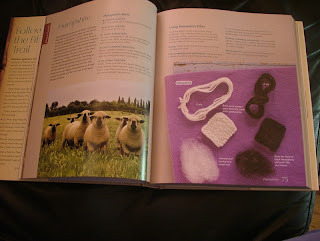 Yes, this book is possibly all you need if you love sheep, fibre, spinning and you are not likely to be disappointed. (also to be published in the Hampshire Guild of Weavers Spinners and Dyers newsletter in the July). I took this book to the Guild on Saturday and it raised some interest, I am sure a few more sales will be made soon. I've ordered a copy on behalf of my spinning friend and teacher - a great resource for a teacher as she said. just look at those horns ... lovely aren't they? Remember to pop back on July 6th for Woolly Wednesday.